From 2007 – 2013, the IMR hosted an IMR Colloquia Series that brought materials researchers from a broad range of fields to the OSU campus. This series has been replaced with the IMR Distinguished Lecture Series, and this information is provided for reference. Abstract: Two-dimensional electron gases at interfaces between two insulating oxides have attracted significant attention because they can exhibit unique properties, such as strong electron correlations, superconductivity and magnetism. In this presentation, we will discuss an example for such an interface, between the strongly correlated Mott insulator GdTiO3 and the band insulator SrTiO3. A fixed polar charge exists at these interfaces because of a polar discontinuity at the interface. The interfacial charge can be compensated by a high-density, two-dimensional electron gas (2DEG). At GdTiO3/SrTiO3 interfaces grown by molecular beam epitaxy, this results in a high-density 2DEG, of approximately 1/2 electron per surface unit cell, or 3×1014 cm-2, for all GdTiO3/SrTiO3 heterostructures, independent of the individual layer thicknesses and growth sequences. We will present measurements of quantum oscillations that provide insights into the nature of a 2DEG derived from the Ti d-states. We will report on electron correlation effects, such as magnetism and mass enhancement, in extremely high carrier density SrTiO3 quantum wells that can be obtained using these interfaces. Finally, we discuss the potential of oxide heterostructures for future electronic devices. The work was done in collaboration with Pouya Moetakef, Clayton Jackson, Tyler Cain, Leon Balents, Jim Allen, Jimmy Williams and David Goldhaber-Gordon. Speaker Bio: Susanne Stemmer is Professor of Materials at the University of California, Santa Barbara. She received her Diploma in Materials Science from the Friedrich-Alexander University Erlangen-Nürnberg (Germany) and did her doctoral work at the Max-Planck Institute for Metals Research in Stuttgart (Germany). She received her doctoral degree from the University of Stuttgart in 1995. Following several postdoctoral positions she held an Assistant Professor position in Materials Science at Rice University from 1999 to 2002. In 2002, she joined the University of California, Santa Barbara, where she was promoted to Full Professor in 2008. Her research interests are in transmission electron microscopy techniques, in particular, the development of scanning transmission electron microscopy as a quantitative tool in materials science, novel dielectrics, oxide thin film growth and correlations between microstructure and electronic, dielectric and transport properties of oxide heterostructures. She has authored or co-authored more than 150 publications. Honors include an NSF Career Award, Fellow of the American Ceramic Society and Fellow of the American Physical Society. Abstract: AlInGaN materials and devices research has come a long ways since its infancy days in the early 80′s. High power visible light emitting diodes and lasers have already become a multi-billion dollar business. For the power electronics market place, several large companies are now introducing components and modules based on AlInGaN HEMTs. There are all the indications that high-efficiency AlInGaN based electronic devices will also be a key player in these very large rf– and the low-frequency power electronics’ markets. In this presentation we will review the recent progress and discuss the emerging trends in the AlInGaN Optical and Electronic devices’ research. Our pioneering research at the University of South Carolina which led to the first demonstration and the improvement of power-lifetime performance in deep UV Light emitting diodes for air-water purification and bio-medical instrumentation will be discussed. Some of our recent work in insulating gate-enhancement mode AlIN-GaN HEMTs on silicon and other substrates will also be reviewed. In addition we will describe the innovative material growth strategies that led to low-defect epi-structures which are key to yielding the improved performance in AlInGaN Optical /Electronic devices. Bio: Dr. Asif Khan is a Professor of Electrical Engineering and is the founding Director of the Photonics & Microelectronics Laboratory at the University of South Carolina. He has served as Professor (1997-present) and Department Chair (2001-2006) during his tenure. His research focus at USC is on the fabrication of GaN-AlGaN based high power microwave transistors and deep ultraviolet light emitters. A graduate of MIT, Dr. Khan has also worked for Honeywell, 3M, and a startup APA Optics. He has authored over 400 refereed papers, several book chapters, over 100 invited papers, and more than thirty patents. Among a long list of honors and awards, he has been selected as an IEEE Fellow, Plenary Speaker for numerous conferences and a DARPA Award for Outstanding Performance. He was also awarded Best Research Paper of the year in 2004 and 2006 by the Japanese Applied Physics Society, an honor given for pioneering research in AlInGaN LEDs. Dr. Khan’s resume has a long list of “Firsts” in research accomplishments as well as significant commercial products to his credit. His research groups pioneered GaN-Electronics and deep-ultraviolet LEDs. These products have blossomed into billion dollar industries. Dr. Khan was a founding member of two startups in Columbia SC namely SET Inc and Nitek Inc. These startups have led to more than 100 high-tech jobs in the state of South Carolina. They also provide excellent job opportunities for USC graduates thereby keeping their talents locally. Abstract: Optimization of the topological features of materials is often key to achieving exceptional material properties. Several examples of the use of 3-D structural information for materials optimization will be shown. A grand challenge, however, is efficient acquisition of 3-D materials information. A new tomography approach for nm-scale characteriztion of materials over mm3-scale volumes will be presented. The use of femtosecond lasers allows for in-situ layer-by-layer material ablation with high material removal rates. The high pulse frequency (1 kHz) of ultra-short (150 fs) laser pulses can induce material ablation with virtually no thermal damage to the surrounding area. This technique has been demonstrated ex-situ with optical imaging and more recently in-situ with a “TriBeam” approach that combines the femtosecond laser within a focused ion beam platform to permit high resolution imaging, as well as crystallographic and elemental analysis. Early 3D datasets from the TriBeam system demonstrate acquisition rates 4 to 6 orders of magnitude faster than focused ion beam systems. Bio: Tresa Pollock is the Alcoa Professor of Materials and Department Chair at the University of California, Santa Barbara. She graduated with a B.S. from Purdue University in 1984, and a Ph.D. from MIT in 1989. Dr. Pollock was employed at General Electric Aircraft Engines from 1989 to 1991, where she conducted research and development on high temperature alloys for aircraft turbine engines. She was a professor in the Department of Materials Science and Engineering at Carnegie Mellon University from 1991 to 1999 and the University of Michigan from 2000 – 2010. Her current research focuses on the processing and properties of structural materials and coatings and on the use of ultrafast lasers for microfabrication and materials diagnostics. 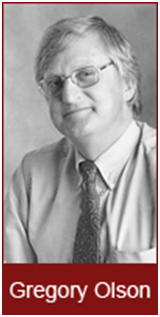 Professor Pollock was elected to the U.S. National Academy of Engineering in 2005, is a Fellow of TMS and ASM International, Associate Editor of Metallurgical and Materials Transactions and was the 2005-2006 President of The Minerals, Metals and Materials Society. Abstract: News of excess production capacity, predatory pricing, and bankruptcies in the solar energy business have replaced the exhilaration over 65% compound annual growth rates, record stock valuations and announcements of large-scale photovoltaic applications. However, rumors of the death of this industry are greatly exaggerated. The photovoltaic business is healthy with enviable growth rates advancing technology on a trajectory to deliver electricity at prices on par with utility rates before 2020. Unfortunately, U.S. market share of photovoltaic module production continues to decline, clouding the vision of a nation moving toward energy self-sufficiency. To address this challenge, the Department of Energy launched the SunShot Initiative. Advanced Manufacturing Partnerships, the largest project in SunShot, include a University-Focused topic to support universities in industry-relevant R&D, guided by industry members. The challenge demands great innovation, as the dominant producer, China, provides manufacturers with substantial benefits from fewer restrictions, faster permitting processes, lower cost labor, a complete and local supply chain and substantial financial incentives. U.S. manufacturing leadership must be built upon superior, more innovative technologies delivered at all stages of the value chain. Great innovation is frequently traced to events bringing together individuals from diverse backgrounds. The Bay Area Photovoltaic Consortium (BAPVC) provides a vibrant forum for interaction among industry and academic experts to address critical challenges in PV manufacturing. BAPVC will find and fund the best university research teams to develop materials, device structures and processes for manufacturing by our industry members. This presentation will discuss the innovation, infrastructure and incentives needed to build a leading photovoltaic manufacturing base in the United States. Bio: John Benner is the Executive Director of the Bay Area Photovoltaic Consortium (BAPVC), operated by Stanford University and the University of California Berkeley. BAPVC brings photovoltaic industry members together with leading university research teams to select and support research improving manufacture of photovoltaic modules. Benner began his work in photovoltaics during the formation of the Solar Energy Research Institute, now the National Renewable Energy Laboratory, where he served as project manager for high performance PV, Director of the Photovoltaic and Electronic Materials Center and Manager of PV Industry Partnerships. Abstract: Self-assembly has emerged over the past two decades as a chemical strategy to create materials and devices. Based on lessons from biological systems, this strategy could be extraordinarily useful to craft highly functional materials from non-covalent assemblies of molecules and hybrid structures that imitate biomineralization. In order to harness the potential of the strategy in materials chemistry, the underlying science needed is a deep understanding of self-assembly codes based on both structure and external forces. So far self-assembly approaches have been developed mostly to organize molecules on surfaces, create supramolecular nanostructures with internal order, and to generate three dimensional patterns using phase separation of macromolecules. This lecture will illustrate self-assembly strategies to create more complex structures of interest in energy and medicine that have hierarchical order across scales. In these systems supramolecular self-assembly codes act synergistically with other forces to generate functional systems. Bio: Professor Samuel Stupp is a native of Costa Rica and obtained his B.S. in chemistry at the University of California at Los Angeles, and his Ph.D. in materials science from Northwestern University. He spent 18 years at the University of Illinois at Urbana-Champaign where he was the Swanlund Professor of Materials Science, Chemistry, and Bioengineering. In 1999, he joined the faculty at Northwestern as Board of Trustees Professor of Materials Science, Chemistry, and Medicine, and later was appointed Director of Northwestern’s Institute for BioNanotechnology in Medicine. Professor Stupp is a member of the American Academy of Arts and Sciences and fellow of the American Physical Society, the Materials Research Society, the American Association for the Advancement of Science, the World Technology Network, and the World Biomaterials Congress. His awards include the Department of Energy Prize for Outstanding Achievement in Materials Chemistry, a Humboldt Senior Award, the Materials Research Society’s Medal Award, the American Chemical Society Award in Polymer Chemistry for his work on supramolecular self-assembly, and the Sir Edward Youde Memorial Award in Hong Kong. He has held the appointment of Joliot Curie Professor at Ecole Supérieure de Physique et de Chemie in Paris, Merck-Karl Pfister Visiting Professor in Organic Chemistry at MIT, Visiting Professor at the Institut de Science et d’Ingenierie Supramoléculaires in Strasbourg, and is currently Distinguished Professor of Eindhoven University of Technology in the Netherlands. In 2009, he received an honorary doctorate from Eindhoven University for revolutionary research in complex molecular systems and in 2011 an honorary doctorate from the National University of Costa Rica. His research is focused on self-assembly and supramolecular materials with special emphasis in regenerative medicine, cancer therapies, and solar energy. The capture and storage of solar energy at the individual level – personalized solar energy – drives inextricably towards the heart of this energy challenge by addressing the triumvirate of secure, carbon neutral and plentiful energy. The doubling of global energy need by mid-century and tripling by 2100 is driven by 3 billion low-energy users in the non-legacy world and by 3 billion people yet to inhabit the planet over the next half century. The possibility of generating terawatts of carbon-free energy, and thus providing society with its most direct path to realizing a low GHG future, may be realized by making solar PE available to the 6 billion new energy users by high throughput manufacturing. This talk will present the creation of new catalysts for the oxygen evolving reaction (OER) and hydrogen evolving reaction (HER) that capture many of the functional elements of photosynthesis; these catalysts are then integrated to make the first artificial leaf. A movie will be shown of a OER/Si/HER wafer (no wires!) that sits in a glass of water and performs water splitting under one sun irradiation. It is indeed a leaf. The discovery sets a new paradigm for the direct production of solar fuels. In doing so, we provide a highly manufacturable and inexpensive method to effect a carbon-neutral and sustainable method for solar storage – solar fuels from water-splitting. By developing an inexpensive 24/7 solar energy system for the individual, a carbon-neutral energy supply for 1 × 6 billion becomes available. Daniel G. Nocera is the Henry Dreyfus Professor of Energy at the Massachusetts Institute of Technology, Director of the Solar Revolutions Project and Director of the Eni Solar Frontiers Center at MIT. His group pioneered studies of the basic mechanisms of energy conversion in biology and chemistry. He has recently accomplished a solar fuels process that captures many of the elements of photosynthesis outside of the leaf and he has now translated this science to produce an artificial leaf. This discovery sets the stage for a storage mechanism for the large scale, distributed, deployment of solar energy. He has been awarded the Eni Prize, IAPS Award, Burghausen Prize, Harrison Howe Award, ACS Inorganic Chemistry Award and the United Nation’s Science and Technology Award for his contributions to the development of renewable energy. He is a member of the American Academy of Arts and Sciences and the U.S. National Academy of Sciences. He was named as one of Time Magazine’s 100 Most Influential People in the World and was 11th on the New Statesman’s list of the Most Influential People in the World. Nocera is a frequent guest on TV, he is regularly featured in print and he was in the feature length film Cool It, which premiered in the U.S. in November 2010. His 2006 PBS show was nominated for an Emmy Award, and it was used as a pilot to launch the PBS NOVA show, ScienceNow. In 2008, he founded Sun Catalytix, a company committed to bringing personalized energy to the non-legacy world. Abstract: Selective mass and charge transfer drive energy conversion in any living system. Not unlike nature, man-made energy conversion systems such as fuel cells depend on membranes with selective ionic conduction. Our experiments have shown that we can fabricate freestanding oxide membranes with a thickness of tens of nanometers. In particular, we used Yttria stabilized Zirconia and Gadolinia doped Ceria as electrolyte membranes for the creation of a new class Solid Oxide Fuel Cells (SOFCs) that are capable of operating at several hundred degrees centigrade below the temperature of traditional SOFCs. First principles calculations help in understanding oxide ion incorporation and ion conductivity as a function of dopant concentration. Our ability to effectively draw power from ultra thin membrane structures inspired us to explore interrupting the natural electron transport chain in thylakoid membranes, the key ingredient of every chloroplast organelle in light sensitive plant cells. Exposing thylakoid membrane stacks to nano-scale electrodes and stimulating them with light pulses resulted in measurable polarization currents. Speaker Bio: Fritz Prinz serves on the faculties of Mechanical Engineering and Materials Science and Engineering. He also holds the Finmeccanica Professorship in the School of Engineering. He obtained his Ph.D. in Physics at the University of Vienna, Austria. Prof. Prinz’s current work focuses on scaling effects and quantum confinement phenomena for energy conversion. His graduate students study mass transport phenomena across thin membranes such as oxide films and lipid bi-layers. In their research, the Prinz group employs Scanning Probe Microscopy, Impedance Spectroscopy, and Quantum Modeling. In his laboratory, prototype fuel cells, solar cells, and batteries serve to test new concepts and novel material structures. This colloquium is co-sponsored by the Center for Emergent Materials, OSU’s NSF MRSEC Program. Abstract: This lecture will describe recent research results and technological advances at the intersections of engineering, nanotechnology, genetics, life sciences, medicine and public health. Particular attention will be devoted to the role research at the intersections of these different fields plays in advancing the boundaries of human disease diagnostics, therapeutics and drug efficacy assays, through experiments, computations, and clinical studies. Specific examples will include research results for infectious diseases, human cancer, blood disorders and traumatic brain injury. 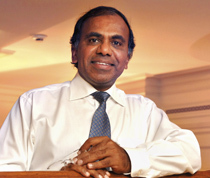 Biography: Subra Suresh is the Dean of Engineering and Vannevar Bush Professor of Engineering at the Massachusetts Institute of Technology, where he has held joint faculty appointments in Materials Science and Engineering, Mechanical Engineering, Biological Engineering, and Health Sciences and Technology. He is recognized internationally for his contributions to the areas of mechanical behavior of materials, fracture, fatigue, surface engineering, thin films, nanotechnology, and cell and molecular nanomechanics with particular connections to infectious diseases and cancer. His 225 journal articles, three authored books, and 16 patents have had a major impact on education, research and industrial practice in mechanical and aerospace applications, microelectronics, nanotechnology, materials science, and biomedical engineering. Suresh has been elected to US National Academy of Engineering, American Academy of Arts and Sciences, Indian National Academy of Engineering, Indian Academy of Sciences, Royal Spanish Academy of Sciences, Academy of Sciences of the Developing World based in Trieste, Italy, and German National Academy of Sciences. He has been elected a Fellow or Honorary Member of all of the major materials professional societies in the USA and India. In 2006, MIT’s Technology Review magazine selected Suresh as one of the top 10 researchers whose work will have “significant impact on business, medicine or culture”. A recipient of the 2006 Acta Materialia Gold Medal, the 2007 European Materials Medal (the first non-European selected to receive this prize given jointly by co-operating materials professional societies from 27 European countries), the 2008 Eringen Medal of the Society of Engineering Science, and a Senior Humboldt Research Prize from Germany, Suresh has been awarded an honorary doctorate from Sweden’s Royal Institute of Technology. Spain’s Technical University of Madrid selected Suresh as the sole recipient for 2010 for its Doctor Honoris Causa degree “in recognition of his pioneering scientific contributions at the boundaries between materials engineering, mechanics, physics, biology and medicine”. From 2001-2006, Suresh served as the MIT Director and lead Principal Investigator of the Defense University Research Initiative in NanoTechnology, for a project funded by the Department of Defense through the National Nanotechnology Initiative. Abstract: The numerical implementation of established materials science principles in the form of purposeful engineering tools has brought a new level of integration of the science and engineering of materials. Parametric materials design integrating materials science, applied mechanics and quantum physics within a systems engineering framework has brought a first generation of designer “cyberalloys” that have now entered successful commercial applications, and a new enterprise of commercial materials design services has steadily grown over the past decade. The success of materials design established a basis for the recent DARPA-AIM initiative which broadened computational materials engineering to address acceleration of the full materials development and qualification cycle. As the central engine of the AIM methodology, the PrecipiCalc microstructural simulator has demonstrated both accelerated thermal process optimization at the component level and the effective forecast of manufacturing variation with efficient fusion of minimal datasets. A new level of science-based modeling accuracy is being achieved under the ONR/DARPA “D3D” Digital Structure consortium using a suite of advanced 3D tomographic characterization tools to calibrate and validate a set of high fidelity explicit 3D microstructural simulation tools spanning the hierarchy of microstructural scales. Biography: Gregory Olson, is the Wilson-Cook Professor of Engineering Design at Northwestern University. His career accomplishments include: founder and director of Northwestern’s Steel Research Group and Materials Technology Laboratory; associate directory, Institute for Design Engineering & Applications; and founder and chief science officer, QuesTek Innovations LLC—the first Computational Materials Design Company. Prof. Olson’s honors include: fellow of TMS and ASM, ASM Alpha Sigma Mu Lecturer, ISS-AIME Tennenbaum Award, SERDP Pollution Prevention Award, and the Sun-Times Chicago Innovation Award for QuesTek Innovations LLC. He has authored over 200 publications. Abstract: Interest in the coercivity mechanism of Nd-Fe-B based permanent magnets has recently been revived in Japan due to the increasing demand for Dy-free high coercive Nd-Fe-B magnets for (hybrid) electric vehicles (HEV). In the current Nd-Fe-B based magnets of HEV motors, 30% of Nd is substituted with Dy to increase the anisotropy field of the (Nd,Dy)2Fe14B main phase, but the natural aboundance of Dy is only 10% of Nd. Thus, we are looking for a way to increase the coercivity of the Nd-Fe-B magnets without using Dy. For this purpose, we are trying to understand the microstructure-coercivity relationships of Nd-Fe-B magnets by investigating the microstructures of commercial and experimental sintered magnets and hydrogen disproportionation desorption recombination (HDDR) powder by high resolution scanning electron microscopy, transmission electron microscopy and atom probe tomography. I this seminar, I will give an overview of our recent work on the development of Dy-free high coercivity Nd-Fe-B based magnets for general audience. This very popular talk is available on IMR’s website! Thermoelectric (TE) generators have been used in niche applications, such as deepspace probes, that demand a compact and robust source of electrical power. A significant improvement in efficiency will be necessary to expand the applications of thermoelectrics to waste heat generators for vehicles and energy-intensive industrial processes. As an alternative to conventional thermoelectric materials based on degenerate semiconductors, we have explored an approach based on nitride metal/semiconductor superlattices such as (Zr,W)N/ScN. The metal provides a source of electrons, a fraction of which have energies above the Schottky barrier introduced by the metal/semiconductor interface. The transport is thermionic, yielding a differential conductivity that is asymmetric with respect to the Fermi energy. The high concentration of interfaces in superlattices with nanoscale periods suppresses the crossplane thermal conductivity to values as low as 1.8 W/m-K, enhancing the figure-ofmerit. In this presentation, the progress towards high performance metal/semiconductor thermoelectric metamaterials will be reviewed and remaining challenges will be highlighted. James R. Baker, Jr. M.D. The application of nanotechnology to the prevention and treatment of human diseases holds great promise because it involves the interaction with nanoscale biological materials. Synthetic nanomaterials that are biocompatible, non-toxic and functional in biologic (wet) conditions can be used to engineer and restore cellular function in a manner similar to how artificial joints and heart valves can restore organ function. Early applications of nanomaterials will likely involve the development of medications that take advantage of unique aspects of nanostructures interaction with biological systems to achieve or enhance therapeutic activity. Examples will be provided for the design, synthesis and analysis of therapeutic nanomaterials where distinct kinds of attached molecules allow for unique therapeutic functions. These applications include antimicrobial compounds, vaccines, drug and gene delivery, and functional imaging. These “nanomedicines” all share the capability to uniquely function simply due to their size. Future nanotechnology therapeutic applications such as cellular engineering, human performance augmentation and single molecule manipulation will be reviewed. Chemists are exceptionally skilled at designing and constructing individual molecules with the goal of imbuing them with defined chemical and physical properties. However, the task of rationally assembling them into organized, functional supramolecular structures with precise, nanometer-level control is a daunting challenge. In this lecture, approaches to addressing this problem are described in which the ultimate goal is the fabrication of organic and other unconventional electronic circuitry by high throughput, large area printing techniques. Issues here concern not only the rational design of high-mobility p- and n-type organic and non-organic semiconductors for CMOS electronics, but also modular high-k dielectrics with ultra-large capacitance, low leakage, high breakdown fields, and radiation hardness. It is seen that these approaches can be successfully applied to organic, organometallic, and inorganic semiconducting materials. Complex and hierarchical nanodimensioned and nanostructured materials offer many unique functions that are changing the concepts of engineering design in numerous application areas. An exciting advancement in products prototyping and maturation in the past few years is the direct simulation in detail of the mechanisms, which govern the responses of the nanomaterials, becoming possible with advanced modeling methods and the computing power available today. However, it is also recognized by scientists and engineers that fundamental understanding of the behaviors of nanoscale materials will not be addressed by simple extensions of current theoretical methods that are focused on either atomic or macro scales, but it will require bridging the gap between these scales with new concepts, new modeling frameworks, and new simulation schemes. In recent years, various modeling and simulation approaches were employed by researchers to study the structures of molecular assemblies, properties at materials interfaces, mechanical interactions between nanomaterials, behaviors of nanocomposites, and functions of nanoelectronics and nanophotonics. Although many promising progresses in computation methodologies and modeling approaches have enabled detailed studies of collective and cooperative materials phenomena at nanoscale, significant challenges in theory and numerical algorithm developments are yet to be overcome. In this presentation, advance of nanoscience and nanotechnologies, techniques to manipulate nanomaterials, and recent efforts of computational modeling of nanoscale materials will be reviewed. Successes will be highlighted and remaining challenges identified. General issues existing in the computational modeling community will be discussed. The Center for Nanophase Materials Sciences is the one of the newest user facilities at Oak Ridge National Laboratory. Located adjacent to ORNL’s Spallation Neutron Source, the CNMS is one of 5 Department of Energy nanoscience user facilities. CNMS is open to scientists and engineers for research to understand the phenomena that control the properties of nanoscale materials. CNMS emphasizes synthesis and characterization, including neutron scattering and electron microscopy. One important capability is a 10,000 sq ft nanofabrication clean room facility. CNMS also integrates theory and modeling with the experimental program, a critical aspect of the research. The user program hosted over 300 users last year — and the science program supported by the Center has evolved since CNMS opened 2 years ago. The central focus of the scientific research is to develop the understanding needed to design and control the dynamics and spatial aspects of functionality in nanoscale systems. This presentation will provide an update on the current directions and capabilities of the CNMS. CNMS is supported by the Office of Basic Energy Sciences, Division of Scientific User Facilities. Abstract: This presentation will first summarize some of the most recent silicon innovations made for advanced CMOS transistors in the nanotechnology era for high-speed and energy-efficient VLSI applications. Through these Si nanotechnologies, it is expected that the CMOS downscaling and improved performance trends will extend and continue well into the next decade. In addition, there has been good progress made and much interest generated in the research of non-silicon electronic materials and their integration onto the silicon substrate to enhance chip performance, provide more functions, and reduce power dissipation. For instance, III-V compound semiconductors and high-mobility quantum-well transistors and their integration onto silicon are currently in research for future high-speed and ultra-low-power digital CMOS applications. Emerging nano-materials and nanotechnologies such as nanotubes, nanowires and nanoribbons, as well as new areas such as non-charge based devices and spintronics, are being explored for future computation and data storage applications. The research progress of these emerging nanotechnologies and nanoelectronic devices, and the challenges and opportunities of combining top-down and bottom-up nanoelectronics, will be discussed in this presentation. Bio: Dr. Robert Chau is an Intel Senior Fellow, the company’s highest and most prestigious technical position, and the Director of Transistor Research and Nanotechnology at Intel Corporation. He is responsible for directing research and development in advanced transistors and gate dielectrics, process modules and technologies, and integrated circuit processes for microprocessor applications. He is also responsible for leading research efforts in novel electronic materials and emerging nanotechnologies for future nanoelectronics applications. Dr. Chau holds more than 125 issued United States patents, has received six Intel Achievement Awards and 13 Intel Logic Technology Development Division Recognition Awards, and was recognized by IndustryWeek in 2003 as one of the 16 “R&D Stars” in the United States who “continue to push the boundaries of technical and scientific achievement.” He has been elected a Fellow of the Institute of Electrical and Electronics Engineers (IEEE).